"I think that we are very close to an agreement. The problems are not insurmountable". With these words by the Cypriot EU Presidency started the discussion of the contentious issues surrounding the establishment of the single banking supervision in the Council of the ministers of finance (Ecofin) on December 4th. The discussion continued 3 hours and a half in spite of the call of Vassos Shiarly, the minister of finance of Cyprus, that not all member states should speak. Not only that all spoke, but some of the representatives spoke more than once. EU Internal Market Commissioner Michel Barnier also seemed assured that an agreement would be reached so that the EU leaders could sign the agreement on December 13-14 thus allowing the essential work on the mechanism (the entire legislative framework) to start in the beginning of 2013 and the mechanism itself (SSM) to start functioning as of the 1st of January 2014 - the deadline the EU leaders set at their October Council. Alas, in the framework of the discussion it became clear that a compromise would not be achieved on December 4th after Germany's Finance Minister Wolfgang Schäuble said that after all the essence of the decision was important not the deadlines. The issues the ministers discussed and on which there was controversy were related to the distribution of tasks between the ECB and the national supervisors; who should appoint the president and the vice president of the supervisory board of the ECB; how to be organised the voting in the European Banking Authority; how to avoid a division between euro- and non-euro countries. According to Commissioner Michel Barnier, the latest proposal by the Cypriot Presidency was balanced because it gave opportunity the national supervisors to make decisions on their own for certain banks on their territory. He signalled that the Commission was ready to concede for the sake of compromise about how to be determined which banks should remain under national supervision and which not. So far the Commission was against the imposition of a strict quantitative threshold but Mr Barnier pointed out that he was willing to concede. He believes that the banks that are systemic in their own country could be left to the decisions of the national supervisor. In his words, it would be really hard to go farther than that. For its part, the ECB, represented by Vice President Vitor Constancio, said that the centre could not supervise all the banks. There should be a division of labour and the number of bank groups under direct supervision of the centre to be reasonable. There is no specific number in the regulation, but Mr Constancio gave the example of the US where the central of the Federal Reserve supervises banks that have common assets of over $50 billion, while most small banks are under the supervision of the regional components. Wolfgang Schäuble, the German finance minister, stated firmly that the responsibility must be taken by the national institutions. He said that was very important for Germany and threatened otherwise Germany would not support the proposal. The minister was first to pour cold water over the hopes for an agreement by the end of the year, saying that a solution should not be sought only because "we are pressed by time". It is important to find a solution in essence, Mr Schäuble added. His Polish counterpart Jacek Rostowski, supported him entirely, proposing the dividing line between the centre and the national supervision to be 60 billion euros. 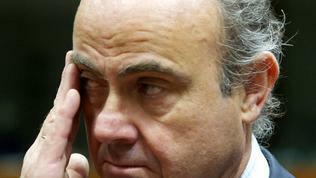 But Spain said it supported responsibility to be taken by the entire system rather than being divided. Let us not forget the end goal we are striving for, Minister of Finance Luis De Guindos recalled - this is the banking union, which is of key importance for the future of the eurozone. The division of labour is a tough issue because there are various levels of consolidation of the financial markets in Europe. In some cases, he explained, there is a much more consolidated banking industry, while in other states the situation is much more fragmented. For the sake of compromise, however, Spain is ready to support a system of decision-making at two levels (central and national). The minister underscored, though, that sometimes small banks could create a domino effect for the entire system. Pierre Moscovici, the French finance minister, pointed out that the ECB should supervise directly all common European banks based on criteria that should be defined jointly. In his words, the number of directly supervised banks by the ECB should be as big as possible. Bulgaria's position is that there must be a clear criterion to highlight the systemically important banks at European level that will be under direct supervision. 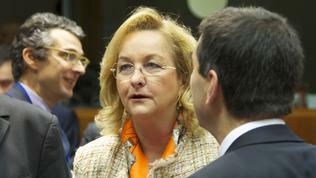 Bulgaria believes that the current criteria are vague and could create uncertainty in the markets. 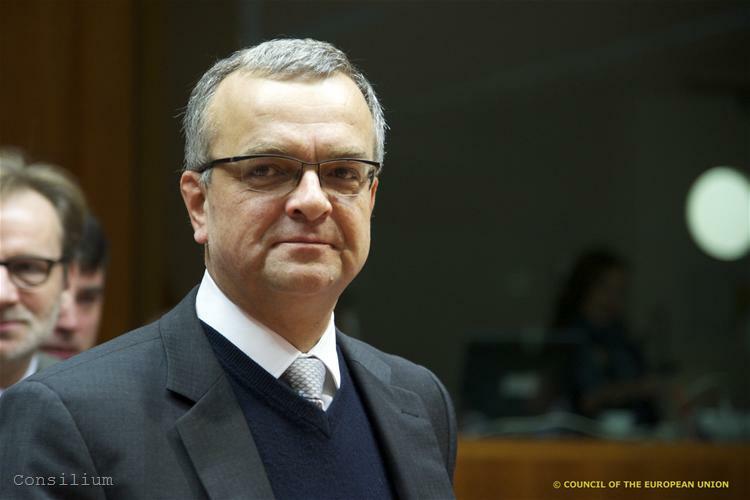 The country's position was expressed by Dimitar Tsanchev, a permanent representative to the EU, who pointed out that a two-level supervision should be avoided. Slovenia is of the opinion that the ECB should motivate itself when deciding to supervise a specific credit institution - be it because the national supervisor has failed or the bank has troubles, or else. 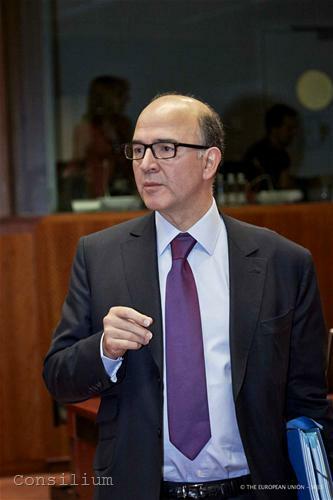 Responding to criticism, Vitor Constancio again stated that the ECB as a centre could not supervise directly all the banks. In his words, not only that this was impossible but was unacceptable for the markets. If a threshold is necessary, it should be higher in terms of the common assets of the banks. ECB above all or for all? One of the questions that emerged during the discussion was whether the central bank should have a leading role or not. The question was put forward by German Finance Minister Wolfgang Schäuble who recalled that the EU leaders had decided on June 29th to create a single supervisory mechanism to include the ECB not to come from the ECB. An accompanying question was who should nominate the chairperson of the supervisory body of the ECB. Schäuble believes that if everything is left in the ECB hands that would contradict to the condition for the independence of the bank. In the end of the discussion spoke for a second time Austria's Finance Minister Maria Fekter, saying that she felt very unpleased that numbers and facts were being changed on the move. 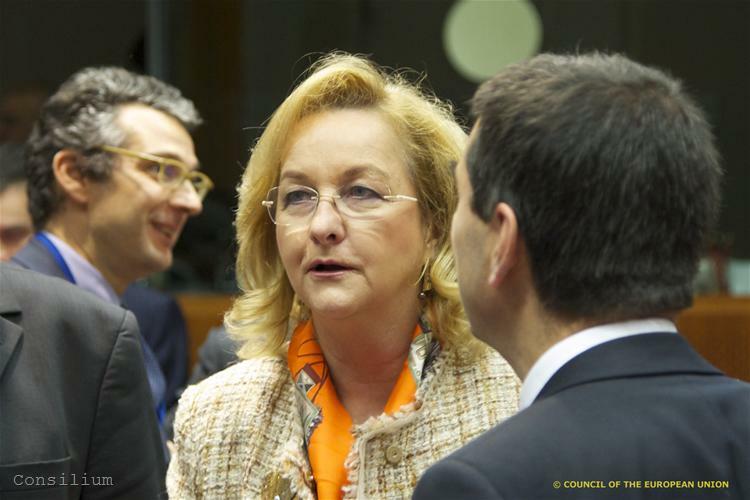 She also recalled that on June 29th it was said very clearly that the ECB would participate not have a hegemony. In the Commission draft it is envisaged the ECB to have the exclusive competences to exercise key supervisory functions which Vitor Constancio explained with the fact that the goal of the leaders was everything to remain within the existing treaties and the article that allows new functions to be imposed on the ECB was Article 127 of the Treaty of the EU. It says that only the ECB can be tasked with supervision. Michel Barnier for his part recalled that Article 127 as a foundation for this was confirmed at theOctober Council. In that article, under point 6, it is written that the Council can, after consulting the Europarliament and the central bank, confer specific tasks to the bank, related to supervision of credit institutions. Who should nominate the chief of supervision and his deputy was one of the most controversial issues on which probably the dispute will continue in the EU summit later this week too. 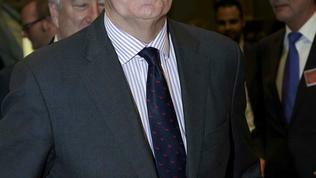 It is hard for the Commission to accept the nomination to be done by the Ecofin, Michel Barnier announced. The nomination must be done by the governing council of the ECB. Supervision is an internal body for the bank which is why it is odd that there is a regulation envisaging a nomination from the outside, Vitor Constancio said. 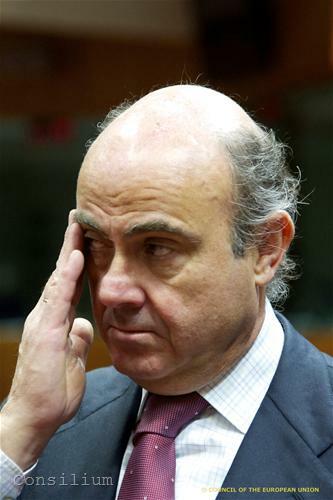 This underestimated the ECB as an independent institution, he added and asked the Council to reconsider. Sweden's Finance Minister Anders Borg, whose country is not a member of the eurozone but is willing to participate in the supervisory mechanism given that equal treatment of euro- and non-euro countries is guaranteed, as well as clear division between the monetary policy of the ECB and supervision, asked for the opinion of the legal service of the Council on whether those problems could be solved without treaty changes. If, nonetheless, a change of Article 127 of TEU is necessary to ensure equal rights, would it be considered additional transfer of sovereignty or is it corresponding to the transfer with the Lisbon Treaty? In case this was legally possible, then, he called, all countries to be given equal rights. If that could not happen in Article 127, then this should be enshrined in the preamble, he proposed. It was responded by the legal service that it depended on the character of the changes to determine whether additional transfer of sovereignty was possible. 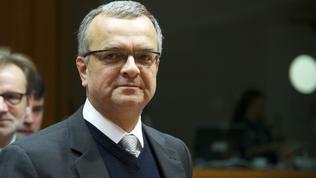 The Czech Republic also called for guarantees for the non-euro countries. The minister of finance, Miroslav Kalousek, said that 90% of the banking sector in the Czech Republic was in the hands of subsidiaries to mother companies in the eurozone which is why the country wanted guarantees that national bodies will be able to play a decisive role in case such subsidiaries are turned into branches. Bulgaria supported the Czech demand and Croatia's Permanent Representative Vladimir Drobnjak, although in his capacity as an observer, said that in Croatia, too, 90 per cent of all banks were owned by mothers in the eurozone. Miroslav Kalousek proposed those guarantees to be enshrined if impossible anywhere else in the treaty preamble, but the legal service said that was impossible. Somewhat lonely sounded the statement of the British finance secretary to the Treasury, Greg Clark, who insisted that the future supervisory mechanism should not be to the detriment of the single market. 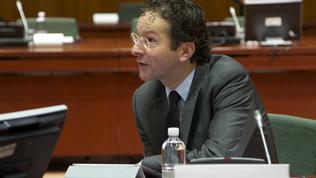 There is also the issue of the compatibility of the banking union and the single market. Britain insists the European Banking Authority, created in 2010, to continue to support the single market. The changes envisaged in the EBA and relating to the establishment of a common supervision, are related to the voting conditions to ensure that the non-eurozone countries' interests will be protected. Regrading regulatory issues voting with qualified majority is proposed, while on other issues - simple majority. 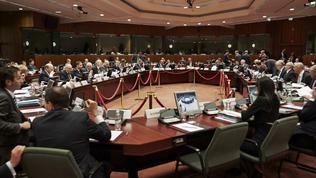 Another change is the inclusion of representatives of the non-euro countries in the governing council of the EBA. Britain fears that as the institutional balance of the EBA will be changed because of the creation of the single supervisory mechanism for the banks the non-participating countries could be excluded through voting on important issues. This is why London believes it is fair to apply the double majority rule. Slovakia, however, is of the opinion, that the decisions in the body should be taken by a simple majority. The Czech Republic also supported Britain recalling that the EBA is a body of all the 27 member states. Similar concerns expressed Bulgaria as well, saying that inequality between euro- and non-euro countries will distort the single market of financial services. There were other, not less important, controversial issues, but in fact the biggest problem at the moment is time. The Spanish finance minister, whose country is impatiently waiting to receive the promised 100 billion euros for bank recapitalisation that Madrid believes would help avoid requesting a classical bailout based on the corresponding adjustment programme, said that uncertainty will increase again unless the deadlines agreed by the European Council are kept. France also called for the mandate given in June to be respected, which included not only deadlines but ambition. 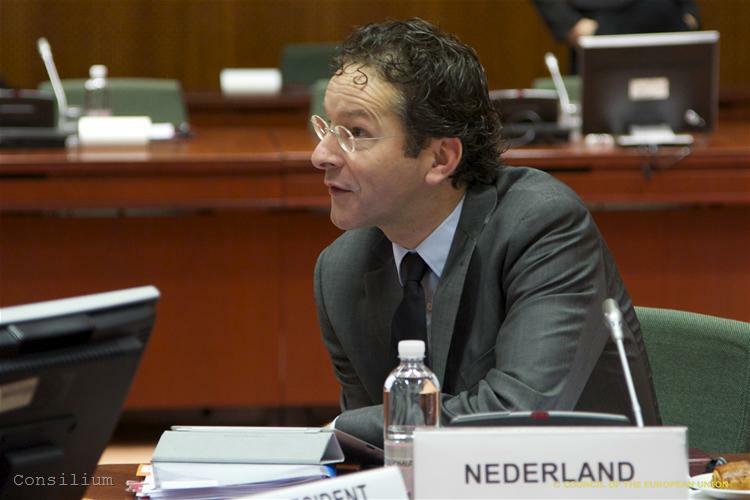 The Dutch finance minister, Jeroen Dijsselbloem, said that he definitely felt worried by the talks not to hurry. Vitor Constancio from the ECB underlined that it was essential to ensure an agreement before the end of the year because huge expectations had been created in the markets yet in June. 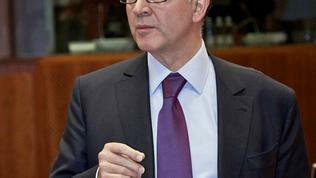 Sticking to commitments is turning into a key element for the confidence in the eurozone project, he added. 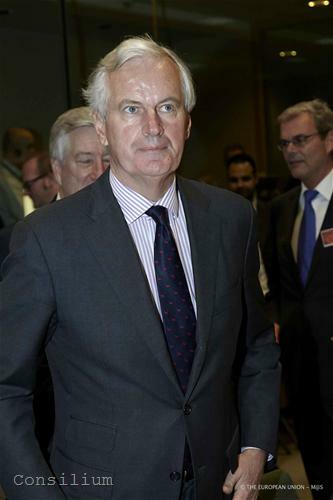 In similar spirit spoke also Commissioner Michel Barnier. Wolfgang Schäuble for his part said he was ready to act as quick as possible without, however, committing that there will be an agreement by the end of the year. 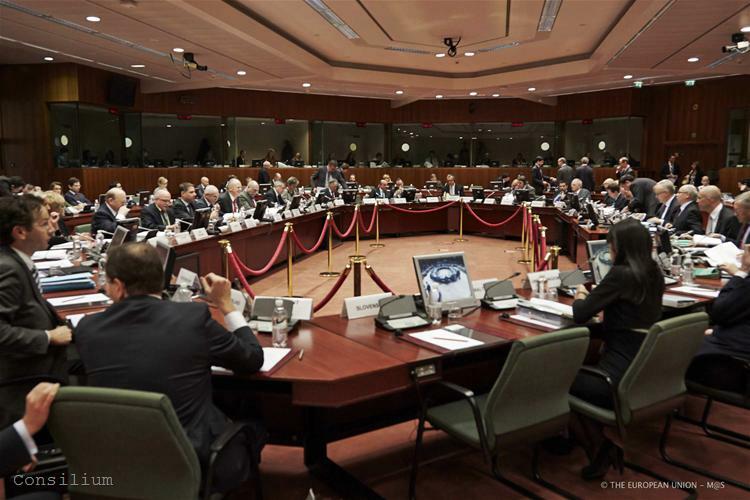 The ministers will meet again on December 12th hoping to reach an agreement on the eve of the European Council. This will be another difficult test for the leaders because on whether there will be an agreement for the supervision depends when the other changes will begin, proposed by Herman Van Rompuy with the support of the chiefs of the Commission, the ECB and the Eurogroup. news Merkel vs. the European Parliament or Vice Versa?